Demolition Services Perth: What Happens to Building Rubble? Times are changing and people are becoming more aware of the impact our waste is having on the planet. When a structure is demolished the building rubble has to go somewhere, and often this means overloading landfill with products that don’t break down. Worldwide we are extracting over 7 billion tonnes of aggregates from the earth each year for the purpose of concrete production. This practice drains the earth’s resources, and when we extract raw minerals it contributes to water and air pollution. When rubble is recycled it can have a positive effect on our natural resources, so why aren’t we doing it more often? What Happens to Excess Building Rubble? Unfortunately, 75% of clean waste from construction sites such as concrete, timber and bricks is sent directly to landfill. Traditional transporting of clean rubble to landfill is expensive and not only does improper management of these products present a danger to the environment, but there is a risk to public health. Landfills can contaminate the soil and water, attract pests and rodents while emitting a foul odour. Having landfill situated near your property can decrease the value of the land, and potentially cause health problems for residents. Not all building materials can be recycled, and contaminated or hazardous waste products need to be disposed of correctly. This includes items such as asbestos, electronics, and medical waste. Transporting hazardous waste requires a specialty vehicle and transport certificate. Illegal dumping of industrial waste in natural drainage, water or land areas that have not been legally designated as waste depots can result in prosecution and fines. What Happens When Building Rubble is Recycled? Professional construction site recycling management helps to reduce the amount of debris and non biodegradable waste which is otherwise sent to landfill. 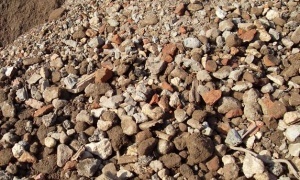 Recycled rubble from materials such as masonry, concrete, rock, tiles, stones and terrazzo can all be reused in foundations, road bases, general bulk fill, footpaths, driveways, bank protection, and embankment protection. Using recycled building materials is a cost effective solution and will make you feel good that you are helping the environment. Not only can you recycle during the demolition process, but you can buy, swap and sell any items of value prior to this stage. While not all building rubble can be recycled, there is a significant amount which is being thrown away which could actually have a second life as something new. Recycled products such as sand, remanufactured aggregates and road base are of high quality so you will not be disappointed when choosing this option. At Capital Demolition we do things differently. We transport your C and D waste to one of our convenient recycling depots in the Perth area or if it is a commercial site we can provide an onsite crushing and screening service and any clean materials can be reused on your project. We have the knowledge, qualifications and experience to sort the good from the bad, and can even remove any hazardous materials such as asbestos for you. Whether you are planning to demolish your site, or looking for a more environmentally building product which has been recycled, please contact us today for a free quote.